Our fledgling collection of tourist tat Italian pottery has suddenly taken a turn for the more sophisticated. 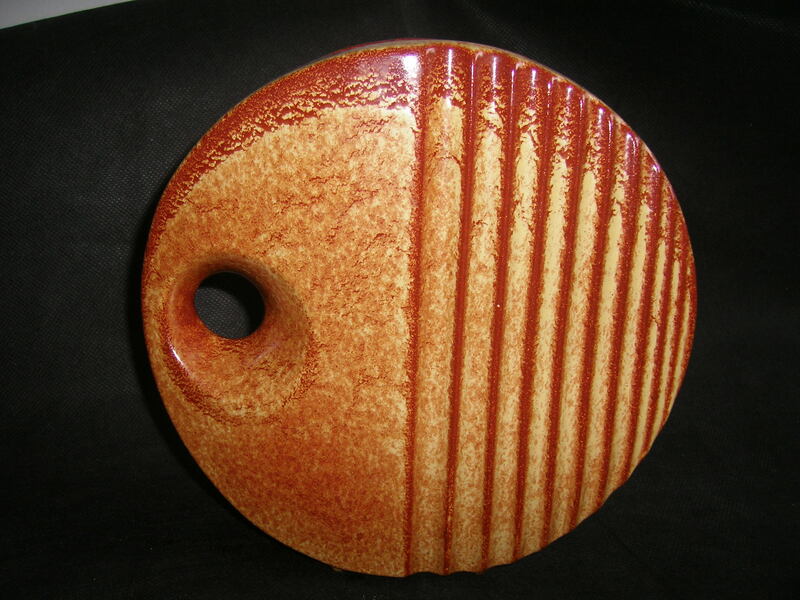 Apart from the fantastic, concertina form of the piece, the glaze itself is beautiful. Subtle, but wonderfully executed. 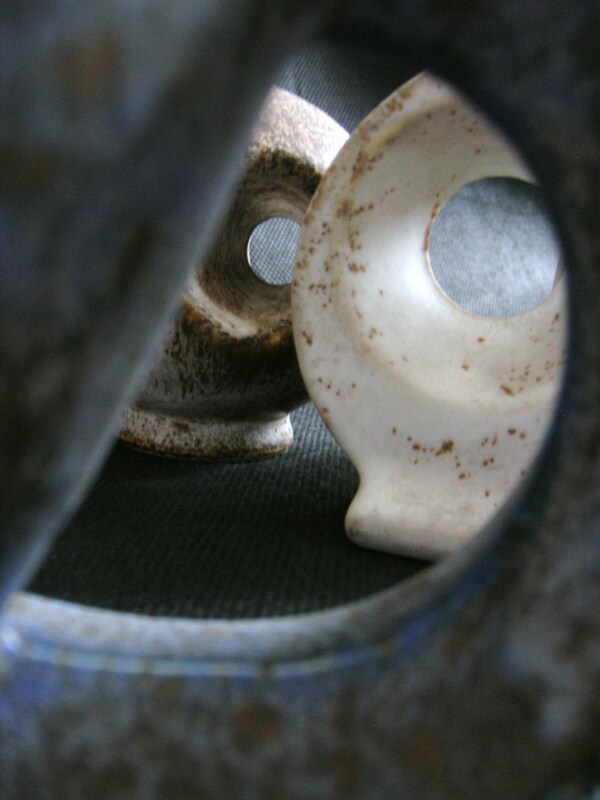 Looking through the Bertoncello thread on the Pottery and Glass forum seems to hint that our other pieces could be also Bertoncello. I still have my doubts, although Aidan is quite convinced about it. And as he spent some time yesterday morning taking these pictures for me, then I’ll let him off. 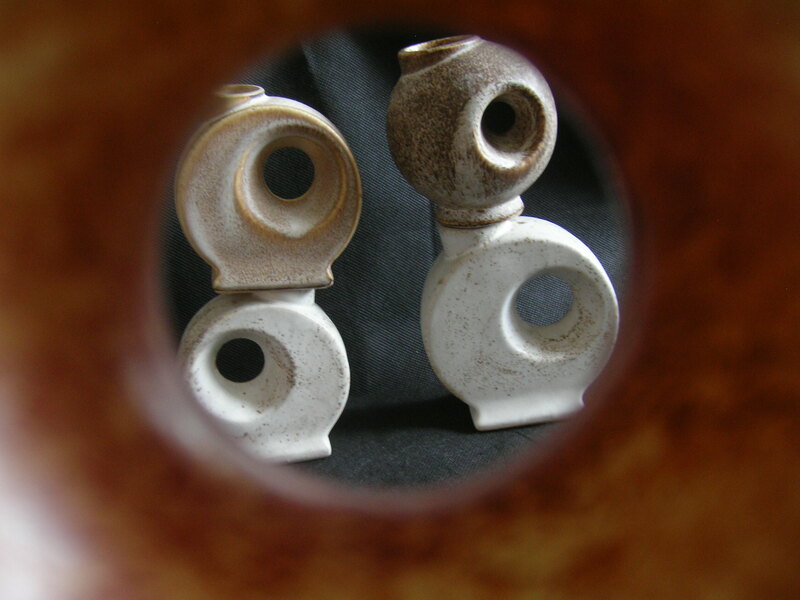 Finding anything out about Bertoncello pottery appears to be a task which is eluding me today. I’ll settle for posting more of Aidan’s pictures instead. We did actually get some more of the Italian tourist tat pottery from the last trip; but I won’t put them into the same post as these! At the moment, the big Bertoncello piece is living on a shelf in the spare room. The little pots seems to have taken up residence on the kitchen windowsill, nestled in with the aloe vera (Vernon) and the giant cacti. Yet more things I have to move on the odd occasion I get locked in the house and have to climb out of the window… twice this year so far! Do you agree these little ones are Bertoncello then? Damn, good job I didn’t bet Aidan anything on them! 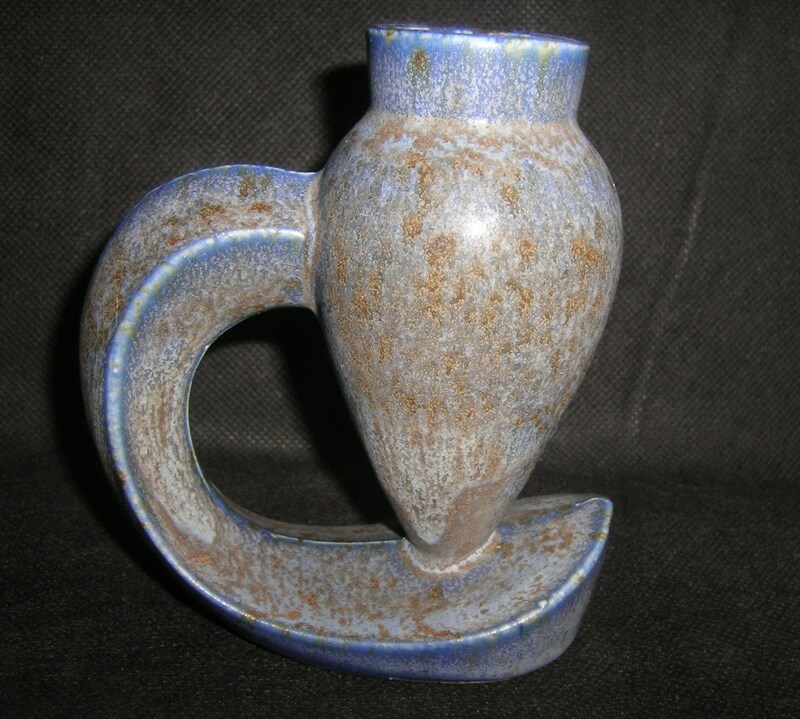 I found another one like the blue vase, which happend to be also a Dutch vase. 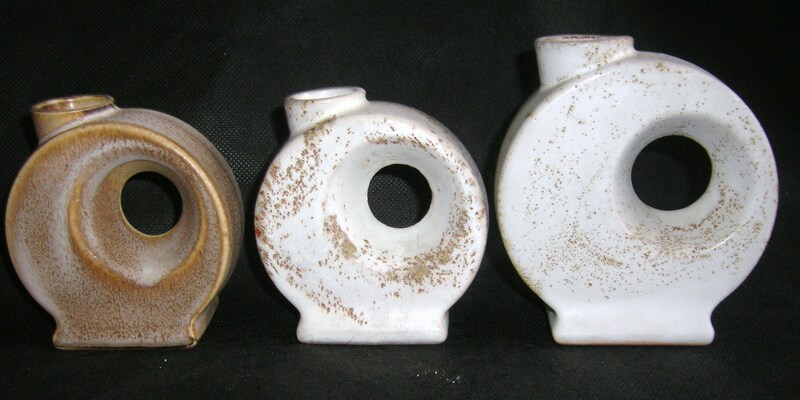 It is made by Duif’s Keramiek, as well as the white chimney vases that I thought that where Vest Keramiek vases before. 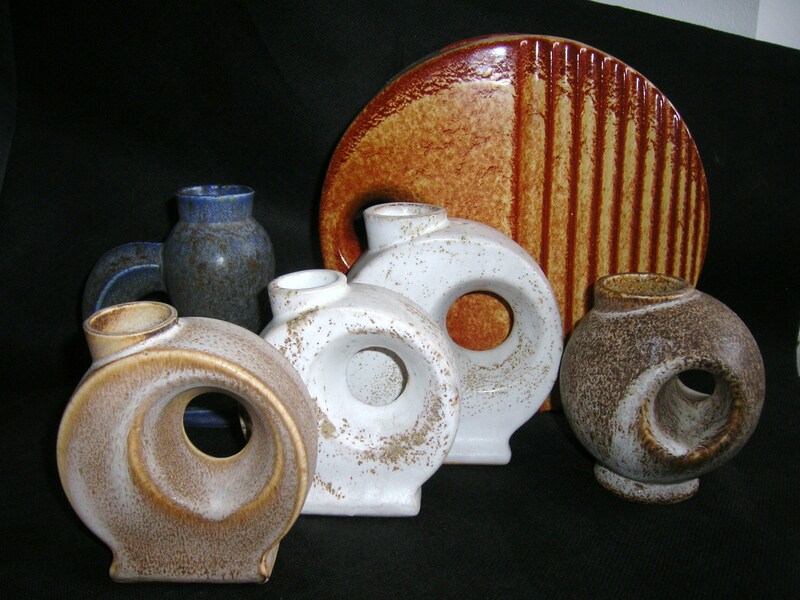 The difference with Vest is the brown bits in the glazes, also called pollution.